Jürgen Freundel und Bernhard Weisser: Zwei Jahre www.smb.museum/ikmk. Erfahrungsbericht und Perspektiven mit dem Interaktiven Katalog des Münzkabinetts, in: A. Bienert u.a. (Hrsg. ), EVA 2009 Berlin. Electronic Media and Visual Arts (2009) 149-155. The Münzkabinett of the Staatliche Museen zu Berlin is one of the largest Numismatic Collections in the world. 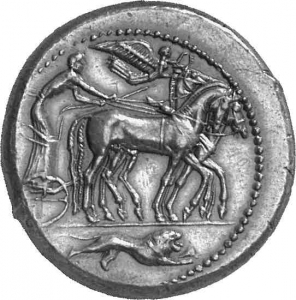 The area covered by its holdings reaches from the beginning of coinage in the 7th century B.C. to 21st century Euros, its geographical scope from Finland to South Africa, from Berlin to Buenos Aires. In addition to more than 500,000 items (coins, medals, notes, tokens) the Cabinet also holds sealings, dies, and historical minting tools. The Numismatic Collection equally is main-taining its exhibitions duties and, being an archive of money, its role as a centre of numismatic research and study. On the Berliner Museumsinsel the Münzkabinett presents two permanent exhibi-tions within the Pergamonmuseum (ancient coinage up to c. A.D. 268) and the Bode-Museum (anti-quity, medieval and modern periods including medals). Additionally coins are on display within the exhibitions of the Antikensammlung in the Altes Museum and those of the Museum für Vor- und Frühgeschichte in Charlottenburg. This online catalogue allows you to browse through these exhibitions and other holdings.